Jennifer Kettel, Brand Manager, Author at Build the Brand. Protect the Brand. Information about Las Vegas isn’t hard to find. Anything you want to know about Vegas, you can search for and uncover pretty easily. But what if you’re looking for EVERYTHING Vegas? 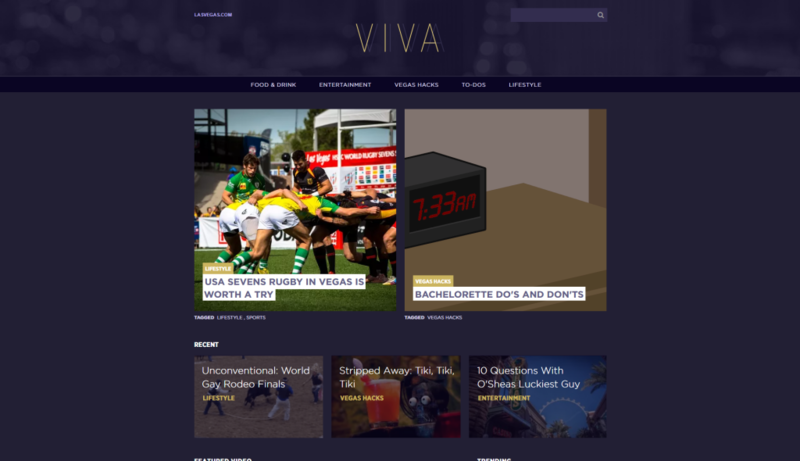 Welcome to VIVA, the new Las Vegas-branded content hub within LasVegas.com. On February 2, the Las Vegas team at R&R Partners launched the new, accentuated blog, which was developed to provide engaging and educational information to the online audience. With a uniquely visual and intuitive design, users can easily browse and explore topics that all contain a collection of digital content designed to further generate a sense of interest and excitement around the destination. The necessity of creating a content hub was generated from the content marketing strategy that Las Vegas implemented to further reinforce positive association through branded experiences, ultimately supporting visitation goals. Through this strategy, the library of branded content began to grow, and required an evolution of the Las Vegas digital ecosystem, and VIVA was born! Not only is valuable content created and housed on VIVA, but the R&R team also is looking at performance. Doing so will provide valuable insight into how the audience interacts with the content hub. For instance, identifying what types of content the audience finds more engaging, looking at what the audience is searching for, and finding out what type of device they’re using. As we monitor these metrics, we’ll be able to further optimize the site and provide a greater, more meaningful experience for our audience – with the ultimate goal of driving increased visitation. Check it out at viva.lasvegas.com and see for yourself.